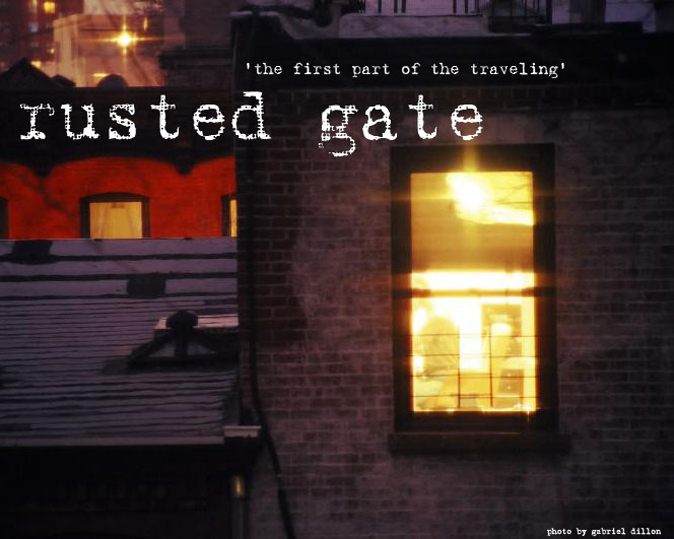 Rusted Gate: so this is college? to those of you not familiar with the bennington college social bubble, this whole thing about me living off campus is a pretty big deal. The only people who are allowed to live off campus are students who are accepted into the co-op (an endeavor not for the faint of heart), over 25, or married. It's been great so far but there are some detractions... getting to campus for social events is just... hard. this was one such case. a welcome-back gathering in a campus dorm room. I have never really done one of these. Not my usual vlogging preference but there was action to be caught on tape. music is amon tobin. place is a college dorm room. people are fun. so how it feels to be in college..